Whether it's the promise of pie or the desire to prove how much one's beautiful brain can remember, PI Day at Chapel gets better every year. 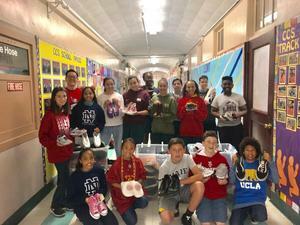 Fighting to the very finish, the following students remembered more digits than any of their classmates. They each have a delicious pie to prove it. Congratulations! Thank you Mr. del Pozo for putting this competition on each year. 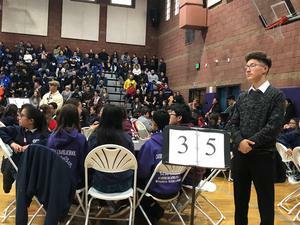 Ninety-nine Catholic schools met Sunday, March 3rd at the Long Beach Pyramid to determine the two schools that would represent the L.A. Archdiocese at the final competition that includes California schools as well as schools from other states. The L.A. tournament is the biggest competition in the entire state. 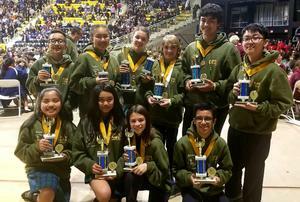 Chapel placed 9th in logic, 5th in SuperQuiz, 10th in Fine Arts (Marco Castro 8th), 3rd in English (Cliff Connor 6th), 3rd in Social Studies (Joaquin Recinos 7th) When all the scores were in, Chapel place 5th overall. 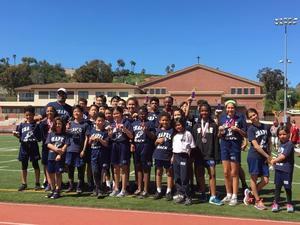 Thanks go to our decathletes, their parents, Miss Kipp, Mr. del Pozo, Mr. Pham, Mrs. Craft, Mr. Danny Gonzalez, Mr. Michael (Uniforms), faculty who worked the event, Mrs. Moldavon, and previous teams whose inspiration still lights our way. God bless CCS!! 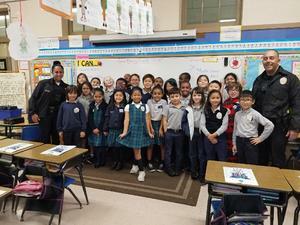 Chapel's Speech Team traveled to St. Bernard School on Saturday for an all day tournament. 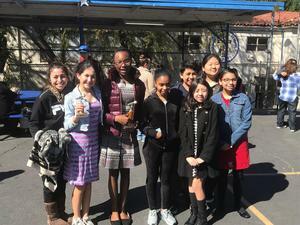 When the competition was complete, Chapel had earned a 1st in oratorical thanks to Maya Bryant (8th), a 3rd in oratorical courtesy of Eva Coleman (8th) and a 1st in sight-reading with a riveting presentation of The Outsiders by Adrianna Brady (8th). Adrianna also placed in story-telling at the meet. God bless our speech team. They will be taking the week off and then gearing up for the leat tournament of the year. There was no rest for our Chapel Wolves over the 3-day weekend. 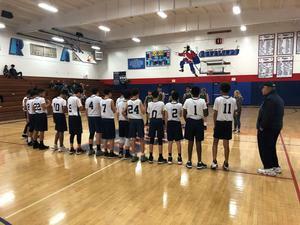 On Sunday, February 17th, Chapel's Boys' "A" Basketball Team bettered their season record to 7-1 in a decisive victory by mercy rule against St. John Fisher. According to the very proud Mr. del Pozo, "They played great!" Congrats to our boys and their devoted coaches.